Almost 1 year has passed since the earth moved, literally. I feel like a broken record as I mention the huge earthquake that occurred off the coast of Miyagi on March 11, 2011. 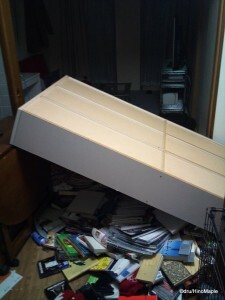 The tremor was felt almost all over Japan and the tsunami that followed cut a swath of destruction from Chiba to Aomori. To give you an idea of how far that is, in 2007, I rode my motorcycle from Tokyo to a location near the northern point of Aomori. It took me over 12 hours of riding on mostly highways at around 100km/h. Of course I had breaks but the distance was roughly 700km or so. It is almost unbelievable to imagine so much land was washed away due to the tsunami. The following days after the earthquake was a tense one as people realized just how bad the earthquake had been and the realization of how many lives were lost and the time it would take to rebuild. My own personal ordeal was somewhat well documented on this blog and I had made updates to travellers when asked about Japan. 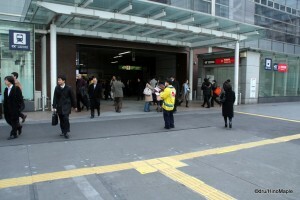 It took roughly 6 months for Tokyo to return to complete normalcy. For the first two or three months Tokyo was a very different city. With infrastructure being damaged in an area just east of Tokyo, several roads, water mains, and electrical lines were cut. It didn’t take long to fix everything and the speed at which things were repaired was amazing. After the earthquake and over the summer, Japan had to institute energy saving measures which made the Tokyo a very dark place, relatively speaking. 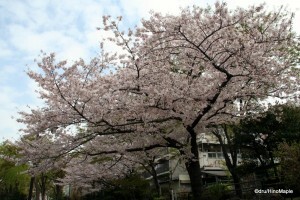 Tokyo is usually a bright and vibrant city but from spring till summer, the city was very sombre. It didn’t take long for people to return to their normal routines and people seemed to quickly forget about the people in Tohoku. Similar to the events of 9-11 in America, after a week or so, the public starts to turn its attention to regular non-essential things. In Japan, you can easily see news programs repeating information about the troubles and hardships the people in the eastern Tohoku region are experiencing. It is a terrible situation for them that will last years if not decades. In the past year most of the east coast has been cleaned up and only sorted debris remains in some places. Recently the final evacuation centre closed and most of the people displaced due to their homes being washed away have been placed in various temporary homes. In the past year I have also come to envy and silently commend a lot of people whom I have met in the past year or so. A lot of the people whom I have met have made trips up to the Tohoku region. I have seen one person make a trip almost every month. It is amazing to see how many people from Tokyo made a trip up to Tohoku in the months following the earthquake. I would see pictures on Facebook that would highlight their personal trips up to Tohoku and the challenges they had. Some drove, some took trains, and many took buses. The main clean-up took roughly 6 months, if the accounts from my friends are any indication. There are still mountains of garbage in the destroyed towns that need to be removed and disposed of but they are at least sorted and awaiting incineration, burial, or recycling. It is an unfortunate situation to see in the news recently that many cities and people all over Japan are against the disposal of the waste. While most of it is safe with no radiation, NIMBYism has been rampant and it has been difficult for municipal officials in other regions to convince their residents that the waste is safe. I have even heard of pleas from a few mayors from the tsunami ravaged areas pleading for people to understand and help out so that their cities can begin the process of rebuilding. Without the ability to remove the waste, the area cannot rebuild. Personally, I am also a victim of forgetting. I have been busy with various work activities and I haven’t been able to sit back long enough to think about the people in Tohoku. It is an unfathomable job to rebuild the entire area if they even want to. I really hope things get back to normal for everyone. I have the luxury to enjoy living in Tokyo where things are virtually back to normal. Aside from a few reports in the news reminding people about the dangers of a potential future earthquake and meeting up with friends where we sometimes bring up the earthquake again, there are few points where I even think about the earthquake last year. It is a shame that I haven’t helped Tohoku enough and I do regret not doing my part. That is the problem of living a relatively busy life. I hope I won’t be too busy to take a minute out of my supposedly busy life to reflect and pray (to whatever god/spirit is out there) for the people of Tohoku. I hope you will also do the same this Sunday. 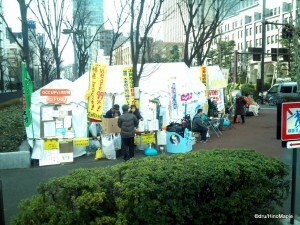 This entry was posted in Japan and tagged 1 year later, 1 year on, 2011, Aomori, back to normal, Chiba, Earthquake, Fukushima, Great East Earthquake, Great East Japan Earthquake, Iwate, japan, Japan Earthquake, March 11, Miyagi, nuclear power, Occupy Kasumigaseki, Occupy Protest, protest, Sendai, TEPCO, Tohoku, Tohoku Earthquake, tokyo by Dru. Bookmark the permalink.